Being stylish is about channeling your personality out through your clothes. For an old-fashioned girl like me, sometimes that only requires a ruffle-y tank top, leggings, an excellent pair of pumps, and some topping off accessories. Just the perfect day to wear my H&M necklace I bought during my Europe trip a few months ago. It's pink but it has this geometry-like design that makes it both girly and edgy. Oh yes I'm classic that way. To me a girl's must haves are a flattering top, black legs-lengthening tights/leggings, a classy flaunty skirt, some jewelries, and a confidence-boosting pair of heels. Fashion is a girl's best friends like dogs are men's. BUT, the one rule that I always tell myself (even when I'm all grown up and beginning to have wrinkles on my face), one's confidence and self-respect must sparkle shinier than all the diamonds one wears. Minutes to February! What's the Valentine's Day plan? i love that necklace it is beautiful. love the clutch and shoes wynne! one's confidence and self-respect must sparkle shinier than all the diamonds one wears. You look great in this outfit. 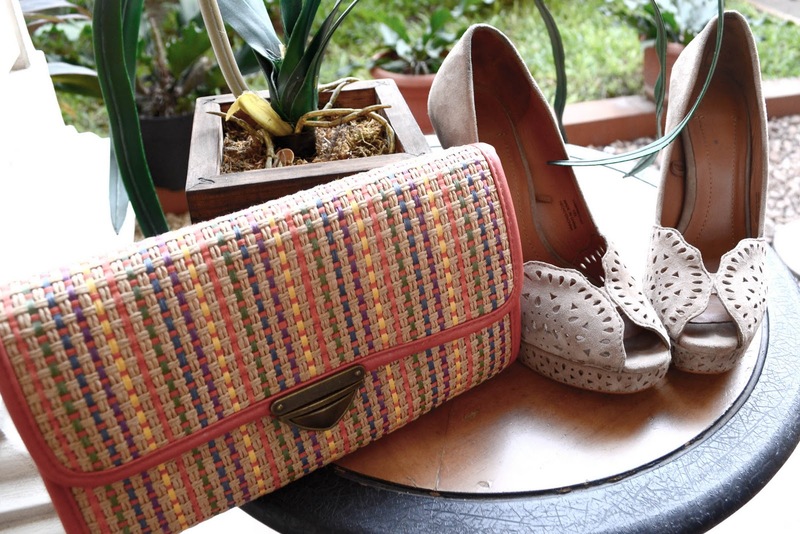 Love your shoes and your clutch. I love your necklace and shoes! I was really mad and shocked in the end. yes, the perfume is really good! I love it! Btw, very nice pics. The necklace is amazing! I love your shoes and that top is soo great!! And I don't have any plans for Valentine's day (:. Loooove your style, you are so feminine and chic! Thanks for your comment, would love to see a post with your boyfriend's dogs...would be awesome! El collar y la pulsera son preciosos, besos. You look fabulous and I adore your peep toe pumps. I love the statement pieces you have on, I collect them too! <3 Looking very pretty as usual sweetie. loving that necklace! i plan on having dinner and maybe a little dance for vday! You look so pretty! Love the coral necklace and clutch. have the same purse!! love your look! thank you also for commenting on my blog!! I really like the combinaiton! Mostly your bag! It's beautiful! I love how chic and femme this look is! The accessories are all amazing and I'm loving that blouse! Love the colors - the clutch, the shoes, the necklace ... actually just everything! I love the necklace, its so pretty!! i love all what you wear <3 you're pretty . love the necklace and also your blog! It's so nice!!! I follow you! That's such a killer necklace! The whole look is so chic. Wow I love the clutch and necklace, it's so amazing how accessories can jazz up a look! fab style! You're absolutely right! I totally agree and your necklace is so unique, I love it! Gorgeous outfit, I love your necklace ! Going to follow you! nawws that's cute and my plan.. alone hahaha :) check my newest post out!